Connected View “Chun Pop” Out Now! 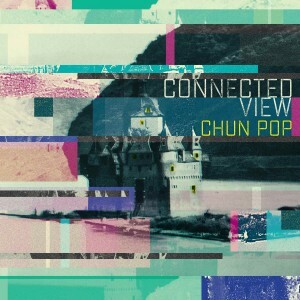 We’re very excited to finally be able to lay Chun Pop on you, the brilliant new album by experimental instrumental pop trio Connected View. The album follows on from single ‘Dark Dogs’, accompanied by a wonderful music video by Australian video artist and Hidden Shoal head honcho Cam Merton. Chun Pop is available now via Bandcamp and all good online stores. The on-the-fly yet incredibly dreamy nature of Chun Pop’s magic feels like switching between hidden late-night radio stations after a handful of quaaludes. Whether it’s the filthy, sinuous bass of ‘Galacticraft II’ or the interweaving synth tones of ‘Energy Positive House’, all the musical decisions here feel inspired, without obtrusive thought. Right from brooding opening track and single ‘Dark Dogs’, the album feels like eavesdropping on a wonderfully flowing jam session, with each successive track a gleaming gem that radiates and reflects off its neighbours in fascinating ways. Chun Pop is also part of the Hidden Shoal licensing catalogue and available for use across film, tv, games, web and beyond.